The days of cold, dark unfinished basements used for storage have come and gone. Today&apos;s basements stand out as welcoming and functional living and entertainment spaces that can elevate your home into something truly unique. 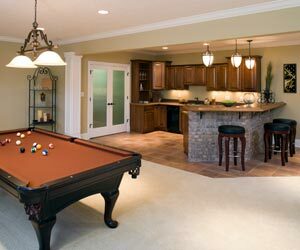 Our Grand Rapids basement finishing company will design a custom basement exactly to your liking and specifications. Whether you envision an entertainment room with surround sound, a home workout area, a wet bar, a dry bar, a mini-kitchen or a playroom with fun lighting design — we will make your vision a reality. Have you always dreamed about having a theatre room with built in mini-bar for entertaining guests? Or if you simply want a functional finished basement to provide your family with a fun place to spend more quality time together — then ourGrand Rapids remodelers will deliver a quality product that exceeds your expectations. Modern and functional basement designs, and the basement remodeling process itself, should be well planned and professionally executed by basement finishing and remodeling professionals. Grand Rapids basement finishing and basement remodeling have been our specialty for many years and we take pride in the quality and uniqueness of our work. Our personal touch and attention to detail will allow you to experience the basement design of your dreams. Every basement has its own character — depending greatly on what the homeowner and designer&apos;s imagination can create — with no limit to what we can develop together for your new custom basement. The Grand Rapids Remodeling basement remodeling team is innovative, creative and professional and will treat your Grand Rapids basement remodeling project with care and insight from start to finish! 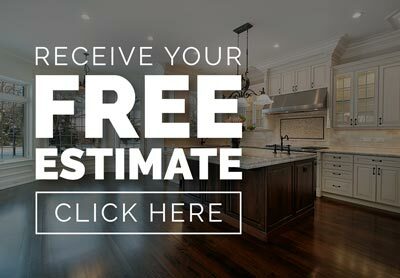 To request a free in-home remodeling consultation and estimate, click here. For general questions contact us here or call us directly at (616) 512-5478 .